The Offset Pressman: What Is Coldset Printing? 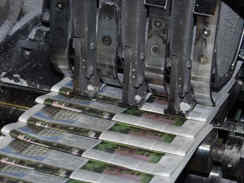 Coldset offset printing by definition is simply a process by which ink dries on a printing press. The ink absorbs into the paper and dries by evaporation. It can be contrasted to heatset printing which dries by means of a dryer transferring heat to the paper and forcing the ink to evaporate. 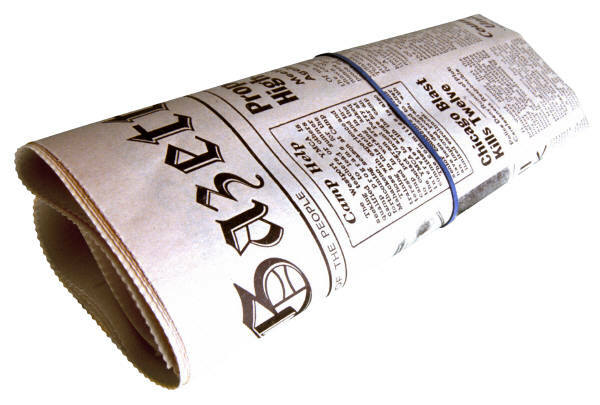 The majority of the worlds newspapers rely on coldset printing to print their dailies. Being one of the more economical forms of fast printing, it allows printers to use cheaper uncoated paper and a less energy consuming process to produce their product. 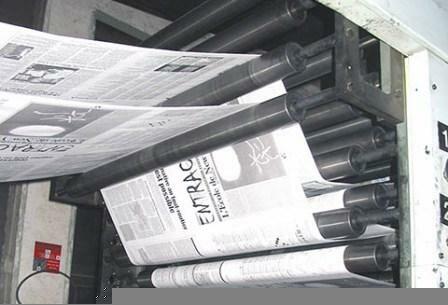 In contrast glossy magazines do not allow the ink to absorb into the paper and therefore require a different process. However a pressman will debate whether coldset printing might better be called heatset printing and vice versa. Why? In reality, what we call "coldset printing" is a process that relies on heat to dry the ink. On the other hand, heatset printing really relies on a cooling process to set the ink. The ink cools and then sets, hence cold-set. How can you distinguish a coldset printed product compared with others? Besides the paper which is not glossy, you can tell it by the smell. Coldset ink continues to dry for days, even weeks after being printed. The oils in the ink will also rub off on your hands, further testimony to the fact that it is not completely dry.